Mexico’s Magic Town (Pueblo Mágico) designation is given to inland destinations that offer a complementary tourism based on historic and cultural attributes. Mexico’s federal Tourism Secretariat has announced there will be 52 Magic Towns by 2012, when the promotional program is due to end. Mexico currently has 48 Magic Towns. Since our list earlier this year (see Mexico adds three more Magic Towns to its list) – four more towns have been added to the select club. All are well worth visiting! The small town of El Oro (population about 6,000) is in the western part of the State of México, close to the state limit with Michoacán. It is a former mining town which was largely abandoned when its mineral reserves (gold) ran out. It has several very attractive old buildings and a state Mining Museum. Xico is located in the central part of Veracruz state, about 25 km from the state capital Xalapa, in an agricultural area known for tropical fruits and coffee. In the vicinity are the Texolo waterfalls, where the movie “Romancing the Stone” was filmed. Xico holds a lively annual fair every July, complete with colorful sawdust carpets and bull-running. 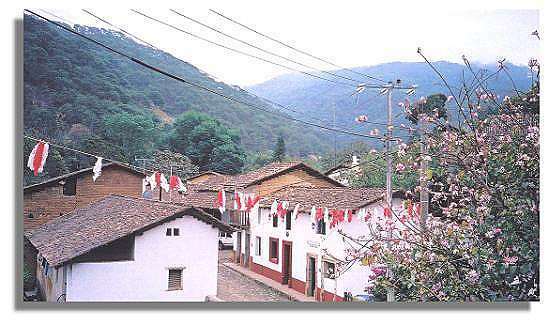 San Sebastián del Oeste is another enchanting old mining town, founded in 1605, located in the rugged mountains which separate the interior valleys of central Jalisco from the Pacific Coast, at an altitude of 1500 meters (5,000 feet) above sea level. Local mines yielded a fortune in gold, silver and copper, before the town lapsed into quiet lassitude once the ore reserves were exhausted. It is amazing to think that all the salt used in the silver processing had to be brought on horseback over the mountains from a tiny primitive port called Puerto de las Peñas, at the mouth of the River Cuale, a port now known as… Puerto Vallarta! Very nice article on “Pueblos Magicos” We would like to talk about our Magic town, El Oro. El Oro is a very nice old town with lots of attractions and very warm people who love visitors. If you want more info. about or town we’ve left some links below so you can visit them, Thanks.